This land is not serviced, but all the networks are on the edge. The PLU is in zone AU1: . . . This land is unserviced, but all the networks are on the edge. It offers an extraordinary . . . This property located in the quiet countryside is ideally located! Entraygues sur Truyères . . .
Great opportunity because house offering beautiful volumes with the possibility of expanding . . .
38 km from Millau, 28 km from Rodez, 13 km from Laissac, 10 km from Pont de Salars The . . .
BIEN D'EXCEPTION on the commune of Rodelle. House in Causse stone. 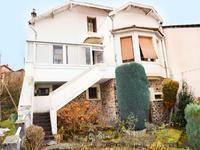 Rare and exceptional property in the commune of Rodelle. Less than 15 minutes from the . 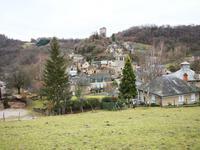 . .
Comps la Grand Ville is a small town in Aveyron at an altitude of 720 metres located in the . . .
Centrès is a small commune in the Aveyron region, formed by the combination of three . . .
DECAZEVILLE: 5 minutes walk from the city centre, pretty family house with strong potential due to its configuration and its major volume. 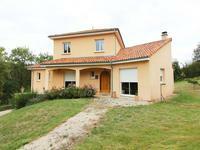 Large family house in the immediate vicinity of the town centre of Decazeville; a lively . . . This hamlet in the commune of Comprégnac definitely has a singular destiny: only 7 kilometres . 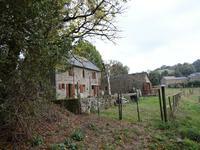 . .
An excellent opportunity to buy a charming stone family house with an attached barn and car . . .
A nice 4-bed 3-bath house for a permanent or holiday home in a small hamlet close to amenities. A great opportunity to acquire this 4-bed house for a very good price. Ideal holiday home and . 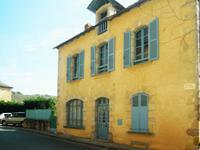 . .
Large house of character ideal for a family home or for the creation of gîte and bed and . . .
Firmi is a pretty commune in the Decazeville-Aubin basin. Its immediate proximity to . . .
An opportunity to buy a a large family house in the centre of the village of Memer. It . . . 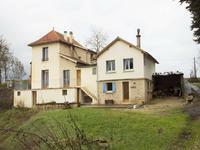 This property located in Entraygues-sur-Truyères, the town with two rivers ( the Lot and the . . .
Sévérac-le-Château is located in the heart of the Causses à l'Aubrac region. A real . . . 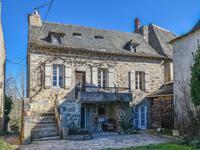 Located in Séverac le château, in the heart of the Aveyronnaise countryside, this charming . . .
Montbazens is a small commune in the southwest of France, located in the department of . . .
Dominated by the keep of the old castle, Muret le Château surprises you at the gates of a . . .
1212 m² building plot. Between the Lot valley and the Marcillac valley, known especially for . . .
Great investment well renovated 4-bed 2-bath house with heated pool, privacy and lovely views. A really nicely renovated property with double glazing, original features, water source, . . .
Muret le Château is a small village in the south of France. The village is located in the . . . This property located on a completely enclosed plot of 2483 m2 planted with century-old trees . . .
Selves is about 1.5 ms from the village of Espeyrac off the D42 road between Entraygues sur . 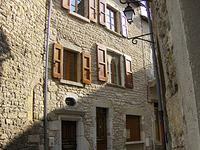 . .
A stone town house located on the access to Najac directly below the castle, with spectacular . 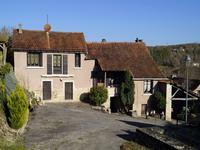 . .
Property located in a bucolic setting with a panoramic view of the Valley and Aubrac (and its . . .
Boussac is a small village in the south of France. The village is located in the department . . .
A charming little town with a quiet and relaxing life, the town of Saint-Amans-des-Côts is . . .
Ecological and Economic House. Ideally spread over two levels, this recent construction is . 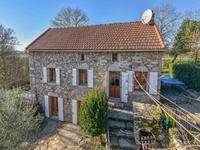 . .
An attractive traditional stone built house, set in a pretty, secluded village. The house is . . . This is a rare opportunity to own this beautiful stone property which has views across the . . . Completely new house. Who hasn't already dreamed of owning a new house, of not having to . . . Located in an undulating and attractive landscape, Firmi, the green city of the Decazevillois . . . Located about ten kilometres from Rodez, the building has overcome the vicissitudes with . . .
15 minutes from Millau, in the village of St Beauzély, superb stone house totally restored offering beautiful volumes and an undeniable charm. About 250 m² of living space, 4 bedrooms, 2 shower rooms, a very beautiful custom library, . . .
On the ground floor: large kitchen, living room, bedroom, shower room/WC. On the 1st . . . 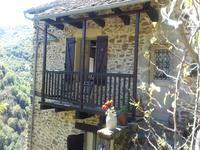 This house is located 3 kms from Entraygues sur Truyère where all shops are located. Rodez . . .
From the entrance door you are in another world where nature, wood and serenity reign . . . This estate is located in St Parthem, on the immediate border of the Lot. Calm and serenity . . .